“If you value your money and your sanity at all, I would highly suggest that you run far, far away from Lennar as quickly as possible! They will promise you the world, and then pull the rug out from under you the minute they get your money. We purchased our Lennar home six months ago and I have been having a permanent panic attack since then. After purchasing the home, one of the Lennar representatives let himself into our house when we weren’t home, set off our alarm, and then took off. We had to have the police come out because we thought someone tried to break in and it took days of digging to find out what happened because they were trying to hide it. Lennar construction workers that are working on the house around us have been stealing our utilities and we had to buy locks for the water spouts and electrical plugs on the outside of the house to stop that from happening. Their workers block our driveway and mailbox constantly, throw trash in our yard, and blast loud music constantly. They have also worked late into the night several times, way past the time allowed by law. I have had to call the police so many times that it is ridiculous. Now we are having a situation where they did a horrible job of grading the yard of the house next door to us and it has caused a trench in between our yards, right on the property line. The trench is filling up with water and flooding our yard constantly. 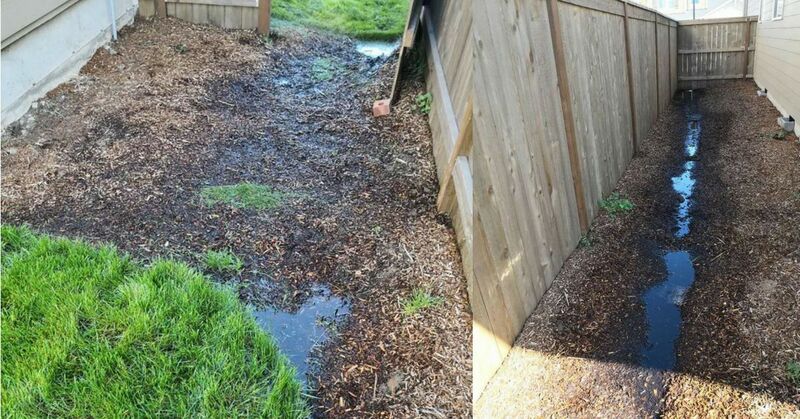 We have huge puddles just sitting all along the side of our yard and it is ruining our fence and our grass. Lennar has been contacted about the issue and could not care less. My husband and I have both contacted their corporate number countless times and we have been promised calls back and that the issues will be dealt with, but not a single thing has been done and not one phone call back from anyone higher up in the company.